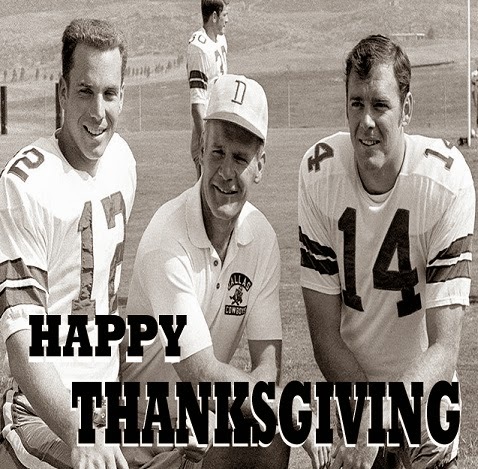 Richie Whitt's DFW Sportatorium: Happy Thanksgiving! I'm thankful for every last one of you who walk through my virtual doors, engage in my ramblings, and then trudge back here again the next day. HAPPY THANKSGIVING TO YOU AND YOUR FAMILY AS WELL RITCHIE. I love reading this everyday!!! love it ,keep up the great work-Happy Turkey day to you and and Sybill! Enjoy the site and look forward to looking at it each day. Have a nice Thanksgiving and enjoy the game(s). Happy Thanksgiving to you and yours Mr. Whitt!!! Cowboy Up!!! Happy Thanksgiving to you and your family RW. And thanks for the blog. Read it everyday! Happy Turkey genocide day to you too, Richie. I'm a fan.